The Waynesboro Seventh-Day Adventist Church will be hosting its third annual Christmas Benefit Concert to support Augusta Health Hospice of the Shenandoah on Thursday, December 1 beginning at 7 p.m. This free-will donation event is open to the public and will be a fantastic evening filled with festive talent while raising funds for Hospice of the Shenandoah. Several services not covered by insurance are possible with support from generous donors including the ability to grant financial assistance to individuals who can no longer manage at home and decide to receive end-of-life care at the Shenandoah House. “We are delighted Waynesboro Seventh-Day Adventist Church chose Hospice of the Shenandoah to support by donating contributions from this event,” said Printy. Hospice of the Shenandoah staff and volunteers are committed to providing safe and loving end-of-life care to those in our community regardless of their ability to pay. Hospice of the Shenandoah serves as your local, community based not-for-profit hospice and is grateful for the community’s support including financial contributions and volunteers from local churches, organizations, businesses and community members. The performance will showcase great talent including harpist Jennifer Hall, vocalist Steve Lalk, vocalist Keenan Peterson, guitarist and vocalist Buddy Thomas and The Ovation Singers. 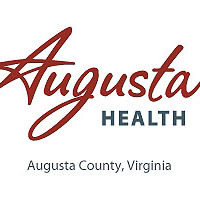 For more information, please contact Augusta Health Hospice of the Shenandoah at 540-932-4909.